Doodle Art, Crochet, Knitting, and Sewing! 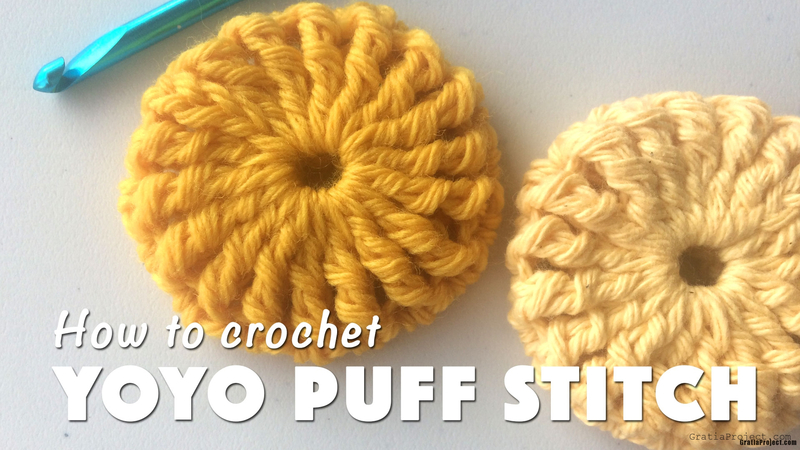 This is tutorial about how to crochet yoyo puff stitch. Create a dishcloth, blanket, coaster, a hat, or even fancy scarf from this pattern. This project can be made with any size yarn on any size crochet hook. In this tutorial, I used worsted-weight yarn and size 5 mm crochet hook. The finished project measures about 2.5 x 2.5 inches. Round 2: Ch 4. Tr2tog all around until before last stitch. Tr in the last stitch. Join with slip stitch to the first ch 4. Cut the yarn and secure it.